Although there is no official method to reset Android on the Asus Padfone Infinity 2, some clever users from the Android community has found two excellent alternative methods for carrying out this process and thus return this nice phone into its original factory default state. However: if the Android operating system is somehow damaged and does not start, or your Asus Padfone Infinity 2 is blocked by the pattern lock password and you forgot it, then the second method will help you. This is the easiest way to reset Android on your Asus Padfone Infinity 2. Before doing so, you may be interested in performing a backup of your personal data. We suggest you to use the G-Cloud application, available in the Google Play Store for free. 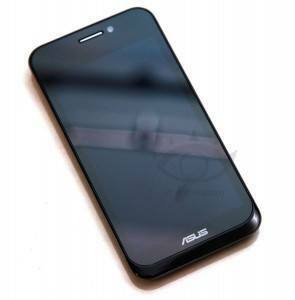 At this point, your Asus Padfone Infinity 2 will ask you if you want to also format the microSD card. You may answer YES or NO. Your Asus Padfone Infinity 2 will reboot several times, and after some times you will finally be greeted with the default settings screens, just as if your phone has been unboxed, fresh from the factory. With the phone powered off press and hold VOLUME DOWN button and then briefly press the POWER button. if you do it right you will see an alternative menu. If not, please retry step 1. When you enter the recovery menu, use the VOLUME buttons to scroll into the “Wipe data / Factory reset”, confirm with POWER button. Wait for the device to restart properly. Congratulations! You have just successfully reset Android on your Asus Padfone Infinity 2 ! 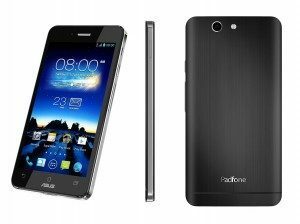 If you have an Asus Padfone and it is running slow, throwing errors at you or you have forgotten the lock pattern password, then you may want to reset Android and return it to its original factory state. In this tutorial we will teach you two effective methods to reset Android and carry out the factory restoration procedure that will return life to the Asus Padfone, certainly a strange and powerful Android device that deserves to work at full capacity. If yes, go directly to the second method, however , if the answer is negative,perhaps due to a forgotten pattern lock password, then the first method is ideal for you. Before starting: In order to apply the following reset Android procedure, your Asus Padfone must have at least 50% of battery power, if this is not the case, please give it a power charge. With the Asus Padfone turned completely off, press the VOLUME DOWN button (without releasing it) and briefly press the POWER button. If you do it right you will get into an alternate menu. In the menu navigate using the VOLUME buttons to “Download Mode” and confirm it with the POWER button. A new set of options will appear: now repeat the previous step to select ” Wipe data / Factory Reset” and confirm it. Unlike the above, this method is valid only for users who still have working access into their Asus PadFone Android OS. Just go to Settings > Backup and Restore > Reset phone > Erase everything , expect the process to complete and restart having the Asus Padfone settings initial.